As digital transformation unfolds around the globe, a new reality is emerging: Digitisation’s productivity gains depend on clean and reliable electrical power. Since all compute power is fuelled by electricity, the stability of the power infrastructure that generates, transmits and distributes that electricity has a direct impact on business continuity. As even the simplest of devices become equipped with microprocessors, the growth in device intelligence raises demand for clean power and electrical infrastructure capable of supporting such increased connectivity. In fact, information technology (IT) is projected to have twice the impact on power consumption as electric vehicles by 2035 (according to Schneider Electric research), which will also quadruple its absolute value of consumption. In light of this rapid growth, IT industry solution providers need to offer more than just IT systems in their solutions – they need to provide modernised power and energy components. In other words, it’s not just IT that awaits transformation; critical power equipment upgrades must happen as well. Not only does this dual transformation offer end users enhanced reliability and availability, it also provides firms selling into IT-intensive markets with new revenue generating opportunities. In this post, I will explain how power and IT upgrades work together to drive successful digital transformation and productivity gains. The rise of edge computing influences the relationship between power and IT in two important ways. 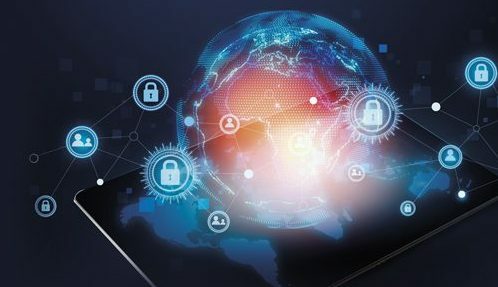 First, as established networks take on more and more connected devices, resulting in higher volumes of IP traffic, the accompanying power infrastructure will need to grow to sustain the increased volumes of data travelling back and forth. Second, as the end nodes of these networks (those places where edge computing occurs) demand more compute capacity, a stable power infrastructure becomes critical to sustaining IT system uptime and business continuity. To address these needs, Schneider Electric has developed an EcoStruxure architecture that offers an open platform to partners and end users so that they can develop and integrate digital solutions. EcoStruxure prioritises openness and simplicity, enabling IT solution providers to support edge computing deployments that serve new operations technology (OT) markets across industrial sites and buildings. This architecture makes it easier for the ecosystem of partners and vendors to work together to address unique customer requirements. For example, Schneider Electric partners with Hewlett Packard Enterprise to provide edge micro data centre solutions that can run cloud-based data centre infrastructure management (DCIM). Using DCIM, customers with edge solutions can streamline support from service providers and vendors that manage physical infrastructure, applications software, and IT equipment. Together, these solutions will help to deliver on the promise of a “lights-out” edge management experience where no on-site experience is required. Thanks to advances in digitisation, edge computing is becoming much more manageable and affordable. It is now possible to update hundreds of micro data centres running edge applications in the field through a simple command that is deployed once in the cloud, as opposed to hundreds of times locally across sites. Under a sophisticated monitoring system, the systems manager knows each micro data centre’s location, specific configuration, and system health. In some cases, the management system will even recommend a course of action and generate service tickets for a local managed service provider (MSP). Edge applications, along with accompanying physical IT and OT infrastructure, are designed to provide decentralised local staff with the power and intelligence to respond faster and to make better decisions, thereby driving corporate profitability. For many of our IT business resellers, integrators, and MSPs, the time invested in selling into a new edge opportunity can now address multiple levels above and beyond the simple sale of a server. An entire cloud-connected and fully integrated data centre in a box can also be proposed as a solution. This includes pre-configured, pre-tested, and pre-integrated solutions that offer hyperconverged computing, operations software, remote monitoring, power distribution, and power protection – all in a secure rack. Digital transformation is changing the way we all conduct business. Those enterprises that recognise the critical link between power and IT infrastructure will thrive as a result of increased efficiency, lower downtime, and enhanced productivity.